Each home purchased from Historic Macon comes with a unique housewarming gift -two bicycles! Bikes for Beall's Hill is part of the movement to make Macon, particularly the Beall's Hill neighborhood, a more bikable and walkable community. Initiatives like the Macon Action Plan have encouraged Maconites to advocate for better bike lanes for riders and improved sidewalks for walkers. This follows a more global trend of citizens living in neighborhoods that are accessible to many amenities by bike or foot. Historic Macon has partnered with Bike Tech, a local cycle shop located on Vineville Avenue, to provide two bikes, two helmets, and two bike locks to buyers of Historic Macon's homes in Beall's Hill. Buyers receive a gift card that covers the cost of these items at no additional cost to the homebuyer. If a buyer already has a bike or does not want to receive one, their bikes are given to Beall's Hill neighbors in need. The Bikes for Beall's program is funded in part by a grant from the Richard and Julia Moe Family Fund of the National Trust for Historic Preservation. Historic rehabilitation projects come with added benefits. Historic Macon rehabs historic houses using the Secretary of the Interior Standards for Rehabilitation and completes a tax credit application for each of these properties. Tax credits are syndicated so that home buyers receive a property tax freeze of the pre-improvement value of the house for up to 8.5 years and a state income tax credit that is equal up to 30% of the qualified rehabilitation expenses (QREs) spent on the project. For example, 1388 Calhoun Street in Beall's Hill was Historic Macon's most ambitious rehabilitation project to date. 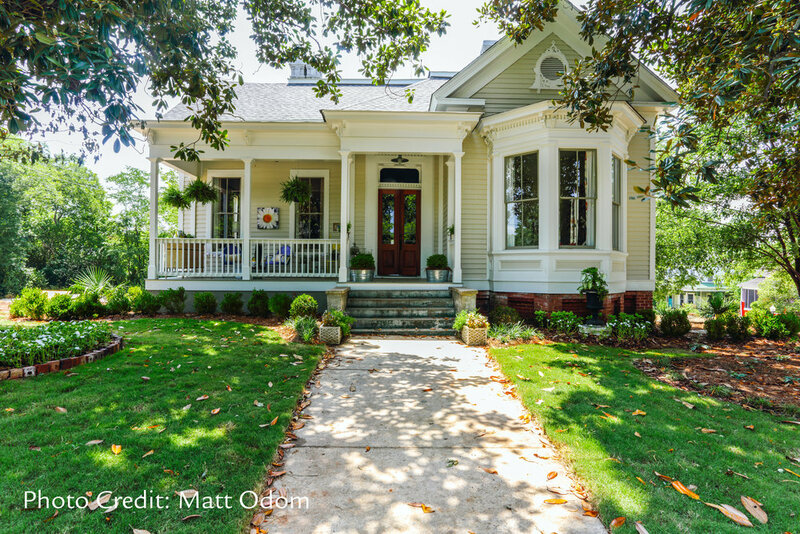 Construction began on the charming cottage in 2015 and wrapped up in time for the house to be used as Historic Macon's annual Design House. By the end of 2016, the house was sold to a young couple, both of whom are Mercer graduates. The couple's property tax is frozen at $198.26/year for the next 8.5 years and they received a $76,000 state income tax credit. The infographic below shows the house's many amenities and its savings potential. We want to bring our homebuyers into the fold and become part of the preservation community. All buyers of Historic Macon homes receive a Patron level membership for their first year of residence. Benefits include invitations to Historic Macon events, our newsletter, free admission to Sidney's Salons, access to members-only events, and two tickets to the annual Patrons' Party. 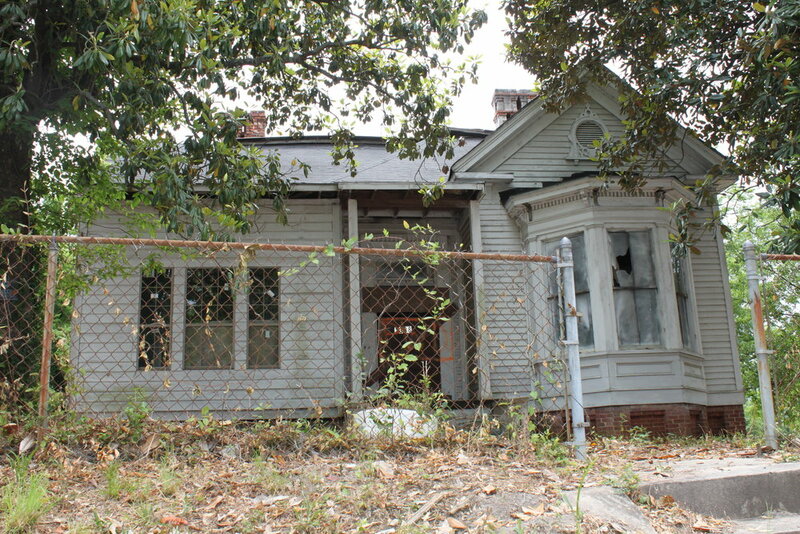 All Historic Macon homes have covenants placed on the property. These covenants are put in place to prevent homes from becoming rental properties. Home ownership is essential to building strong neighborhoods and increasing the local tax base. Additionally, home owners who are residents are more invested in their neighborhoods and want to see their community thrive. We feel that by placing covenants on our properties, we are ensuring a diversity of residents reside in the neighborhoods where we work. Full-time Mercer employees are eligible to receive up to $20,000 in down-payment assistance to purchase a home from Historic Macon. This assistance is made possible by funding from Knight Foundation and a match from Mercer University. If you are a Mercer employee and interested in learning more about this program, please contact Lauren Maudlin at lmauldin@historicmacon.org. At Historic Macon, we take a holistic approach to our bricks and mortar preservation efforts. Our neighborhood revitalization work has taught us that by working street by street, block by block, and house by house, we can transform a neighborhood and attract private and public investment. In Beall's Hill, we were able to leverage $2 million in county blight bonds for infrastructure improvements. This includes sidewalk, road, and lighting improvements throughout the neighborhood. Additionally, we're seeing more private developers entering Beall's Hill to rehab historic homes and provide competitive pricing for real estate. Our staff members regularly attend the Beall's Hill Neighborhood Association meetings in order to build personal connections with neighbors and stay aware of opportunities and challenges expressed by residents. 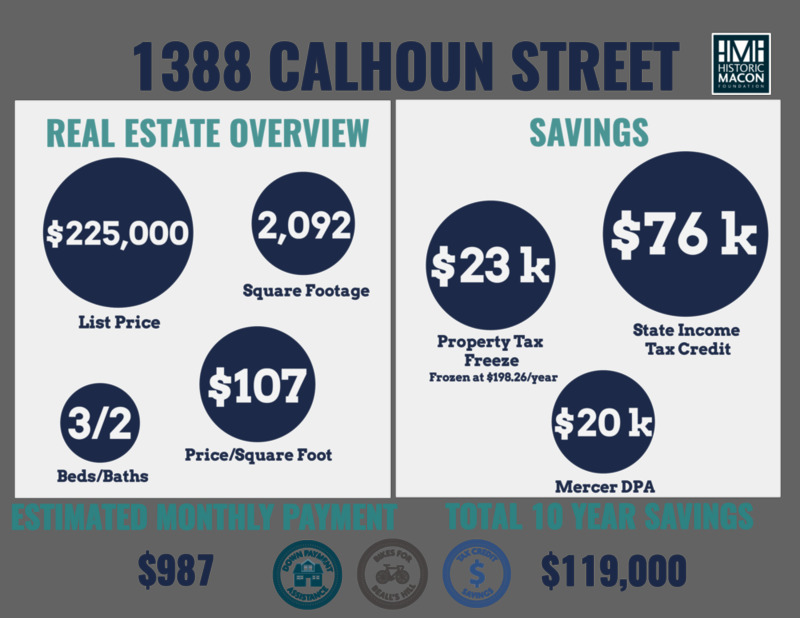 When you purchase a home from Historic Macon, you can feel confident that you are investing in a property in a neighborhood where you will see the growing benefits of our work for years to come.